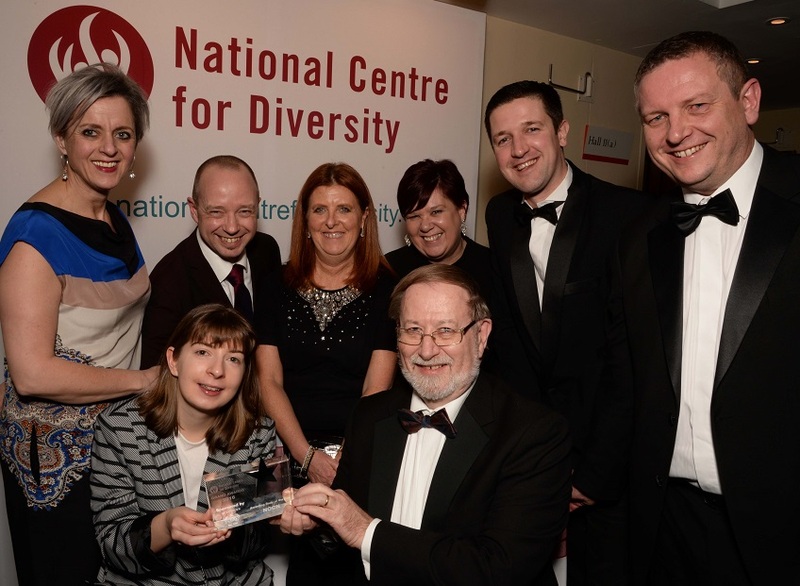 NOCN was the first awarding organisation in the country to be recognised as a Leader in Diversity and it remains committed to improving equality, diversity and inclusivity (EDI) for everyone. It currently holds a Leaders in Diversity accreditation and delivers an annual EDI strategy lead by Managing Director Graham Hasting-Evans. The Event at the ICC in Birmingham on 20 January 2016 was attended by over 100 representatives from charities, employers, colleges, schools and organisations who are all passionate about diversity. Throughout the evening there were many inspiring stories of achievement and examples of excellence which demonstrated the importance of improving diversity. As well as receiving NOCN’s award, Graham Hasting-Evans presented three awards: The Most Inspiring Individual of the Year, won jointly by Stewart McKillop, South Lanarkshire College and Tim Eyton-Jones, Barnfield College; Principal of the Year, Mohammed Ramzan; and College of the Year, Trelor Trust. NOCN Marketing Executive James Harkness was also nominated for the Most Inspiring Individual of the Year award in recognition of his work promoting diversity at NOCN. Although eventually unsuccessful, the nomination shows a clear commitment to diversity. NOCN has created a Flikr photo gallery of the event and you can read more about NOCN’s work on Inclusion, Diversity and Inclusion here.